First, it is important to understand which state law applies. Generally, the state law that applies is the state where the decedent legally executed the will or, if there was no will, the state where the decedent was domiciled at the time of death. Accordingly, Arizona law applies when there is a valid will that was created in Arizona or when the decedent dies without a will while domiciled in Arizona. The term ‘decedent’ refers to the person who died. ‘Domicile’ is determined according to the location of the decedent’s residence, where the decedent paid taxes, received mail, where he/she was registered to vote, etc. It is also to understand the basics surrounding the administration of the estate. In Arizona, the court will either appoint a Personal Representative, or will recognize the one named as such in the will. The Personal Representative’s responsibilities include accounting for and protecting all assets in the estate, notifying creditors, and distributing the estate. The Personal Representative may receive ‘reasonable compensation’ in AZ, but it is not a percentage of the estate according to the will or state law. Administration of the Estate – These include administration fees, attorney fees, and any other fees necessary for the safeguard and distribution of the estate. 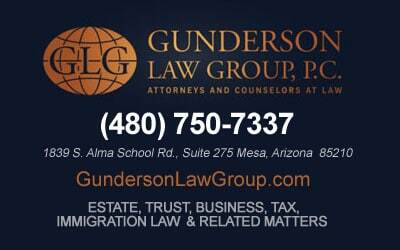 Statutory Allowances – When the amount in the estate is insufficient to pay out all the allowances, Arizona laws create priority among the statutory allowances. The only thing that has priority over these allowances and exemptions are the expenses to administer the estate. If there is no money remaining after one of the items, the others will not receive anything. The allowance include a Homestead Allowance of eighteen thousand dollars, a Family allowance limited to twelve thousand dollars-either paid in a lump sum or by monthly installments over a 12-month period, and an Exempt Property Allowance of seven thousand dollars. Creditors – These are the creditors of the decedent, subject to A.R.S. §§14-3801, 14-6102, and §14-6103. Heirs and Devisees – These are the people who are inheriting property from the decedent according to the will or state laws. It is also important to understand the Estate’s Responsibilities to Creditors. Upon the death of the decedent, the decedent’s debts are still valid and due to the creditors according to the order of priority already discussed. According to Arizona Revised Statutes § 14-3801, the personal representative must notify all known creditors of the decedent’s death, the appointment of the personal representative, and how to collect on the debt owed. For Unknown Creditors, the personal representative must publish notice once a week for three successive weeks in a newspaper of general circulation in the county announcing the appointment. 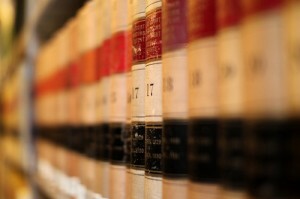 The creditors must then present a claim within four months of the first published notice. Dealing with and planning for death is never an easy thing. However, it is important to understand and plan for the disposition of property to loved ones upon such an event. Our attorneys at Gunderson, Denton, and Peterson PC can assist you with your estate planning needs.